The Unicorn Clan are known for their ability to track and chase down any target with their superior horsemanship. But in the land of Rokugan, the hunters can easily become the hunted and not knowing what you’re chasing can be a deadly mistake. Fantasy Flight Games is proud to present “To the South (Part I)” by Marie Brennan, a new short story set in the world of Legend of the Five Rings! “To the South” follows the Unicorn Clan’s Shinjo Tatsuo as he tracks a mysterious target in the southern Unicorn lands. You can download the story here (1.5 MB)! What surprises will this group of Unicorn find in their search, and how far are they willing to go to catch their target? How long will it be before the hunters become the hunted? 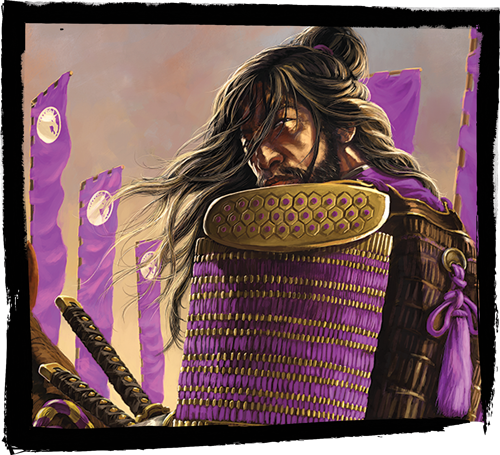 Be sure to check the Fantasy Flight Games website every other week for additional Legend of the Five Rings stories, as well announcements and previews for Legend of the Five Rings: The Card Game, the Legend of the Five Rings RPG, and Battle for Rokugan! Enter the world of Rokugan with Legend of the Five Rings: The Card Game (L5C01), available at your local retailer tomorrow!